Thrilling jangle pop with actual political engagement from what seems like another age (in fairness it was originally released almost 30 years ago) from the band that gave birth to Stereolab (kind of). Providing proof if it were needed that the famous C86 sound could accommodate teeth underneath its smiling face. The guitar of Tim Gane supplies the chiming hooks but the vocals of Malcolm Eden give great emotional heft, as on the very poignant ‘The well of loneliness’. As it happens, it’s one of the least overtly political songs in this collection but one of the most touching. A few nice pairings in this week's show. Robert Forster - "my soup-stained vest, my critical eye" Bob Dylan - "God said to Abraham, give me a son, Abe said, God you gotta be puttin me on"
Leo Abrahams going to town on Brian Eno, who sings guest Brian Eno going to town on 70s pop music Sun Ra going to the future. A most welcome addition to the canon of foul mouthed folk music from a pair of teenage Scottish brothers. A rowdy acoustic guitar and an accordion carry most of this but there’s not a hint of The Proclaimers you’ll be glad to hear (in fairness, I suppose the Reid brothers aren’t the worst, but ‘500 Miles’ does still give me the night sweats). Yeah, bit of a punk spirit, or “low-fi traditional skronk” as they put it themselves. Top notch all round and like Frightened Rabbit, who were also launched by Hits the Fan, you wouldn’t rule out stadiums for them. 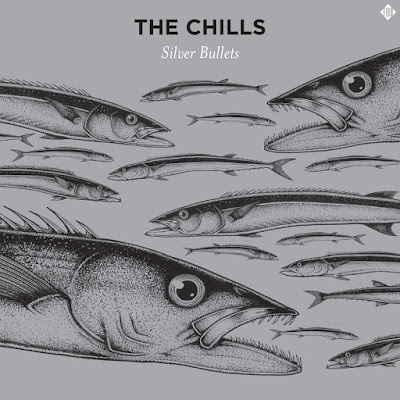 One of the more heartwarming returns of recent years in (let’s call it) popular music is the story of Martin Phillipps and The Chills, who are contenders for most cruelly underappreciated band in the history of the world. This piece by Michael Hann from The Guardian last year does excellent justice to Phillipps’ rollercoaster backstory (although the quoted paragraph does contain one glaringly debatable statement which I’ll come back to). The Drink, 2nd album also upcoming, wonderful skewed guitar pop. Stereolab, taking on the thread with added monster motorik grooves. And HeCTA, great cut up electronic dance music. Elegaic collection of late night love songs from a duo made up of Amber Webber (Black Mountain, Lightning Dust) and Derek Fudesco (Pretty Girls Make Graves, The Cave Singers). Barely strummed guitars and Webber’s soft world weary vocals make a great match in songs taking stock of life with a bittersweet but quietly determined eye. It’s hard to beat the slow building emotion of the opening pair of songs, ‘Never change’ and ‘Wild hearts’. The first in particular digs deep into the end of a relationship with raw details underneath the brilliantly unshowy vocal harmonies – “this is lasting too long for me, being around to see your fading words, stare out windows when it’s pouring rain, we’ve got our histories to blame but they’ll never change”. The latter introduces a startling harmony which throws a gorgeous gospel hue over the country stylings. A deceptively low key and beautiful record. That's Christopher Porpora aka Cheval Sombre in the picture below, he plays his first Irish show in Cobh next month, excellent. He's a friend of Dean & Britta and they used one of his songs for their 13 Most Beautiful, the Andy Warhol Screen Tests project, pairing 'I found it not so' with Mary Woronov's compelling features. There's a raft of festival action happening - Noveller at Incubate, Death & Vanilla at Liverpool Psych Fest, Jeff Lewis at Clonakilty International Guitar Fest. 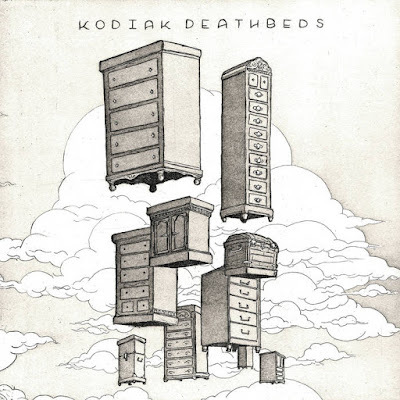 And gorgeous new music from Kodiak Deathbeds, featuring the great voice of Amber Webber of Black Mountain/Lightning Dust. Tom Furse of The Horrors with a solo EP on Lo Recordings, very exotica. Blank Realm kicking out the psych jams, they play Dublin this month. First show back and a few new albums which came in during the summer break. 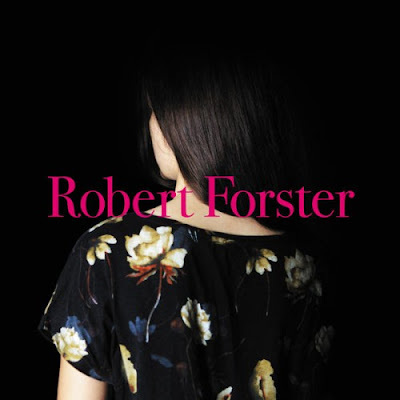 Robert Forster's 1st solo album in 7 years is a beautiful slow burn of Blonde on Blonde-ish folk moves and faux memoir. Blank Realm, also from Brisbane, are a powerful psych rock beast taking in elements of No Wave on this the opening track from their new album Illegals in heaven. Seminal jangle pop Marxists McCarthy are getting a reissue on Optic Nerve. This is the Kit play Sounds from a Safe Harbour festival in Cork this month. Sublime soul crooning from August Wells. And The Chap being extremely Chappish once again, setting the internet on fire with their electric sound of desire (that excellent line is a quote from the song 'Guitar Messiah').